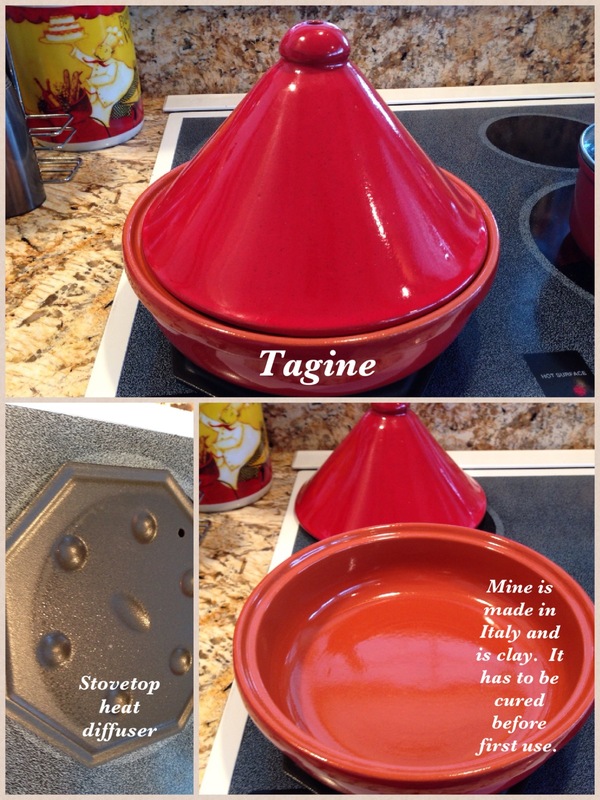 I bought my tagine at Home Goods, it’s made of clay. You can make this dish in a dutch oven if you do not have a tagine. You’ll also need a heat diffuser. Chicken Tagine is usually made with preserved lemons. That takes 3 weeks in the refrigerator to cure. Below is a quick way to make preserved lemons and these can be stored in an air tight container in your refrigerator until ready to use. 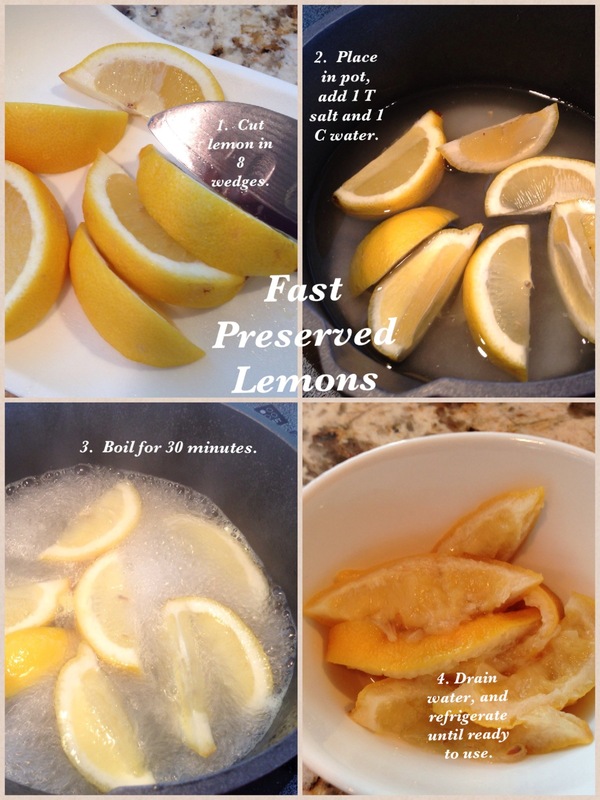 Remove flesh and seeds from the preserved lemon, set rinds aside. Add the olive oil to the bottom of the tagine. 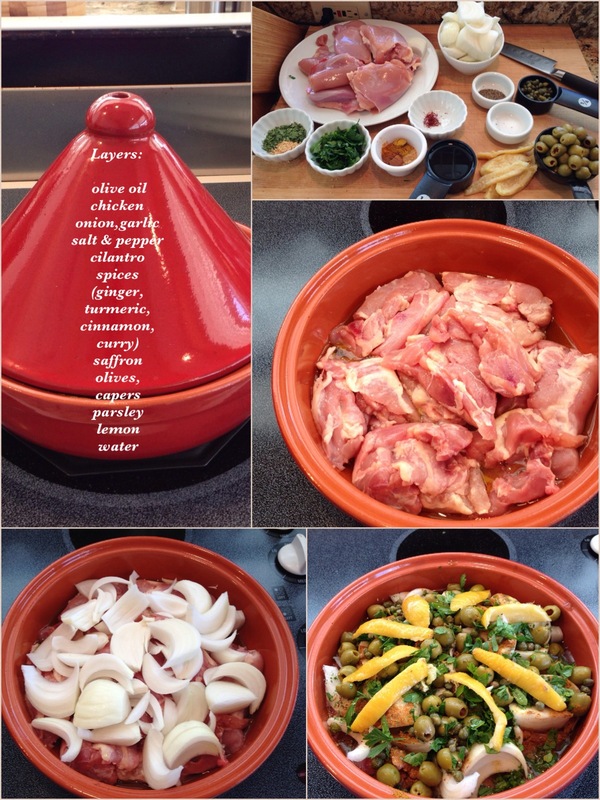 Arrange the chicken in the tagine (flesh-side down). Distribute the onions all around. Add the garlic and then layer the rest of the ingredients as follows: salt & pepper, cilantro, ginger, turmeric, cinnamon, curry, saffron, olives, capers, and parsley. Place lemon rinds around the top in a circle. Add water. (Note: you can mix the dry spices in one bowl and sprinkle evenly into the dish). Cover and place on a diffuser over a medium-low heat. Give the tagine time to reach a simmer, if you do not see steam or hear the tagine simmering within 20 minutes, slightly increase the heat. Maintain the lowest heat setting required for maintaining a gentle, not rapid, simmer. Allow the chicken to cook undisturbed for 90 minutes. Then turn the chicken over so that the flesh side is up. (Note: if drying out, add 1/3 C or more of water). Cover the tagine again and allow the chicken to finish cooking approx. 30 min. more. 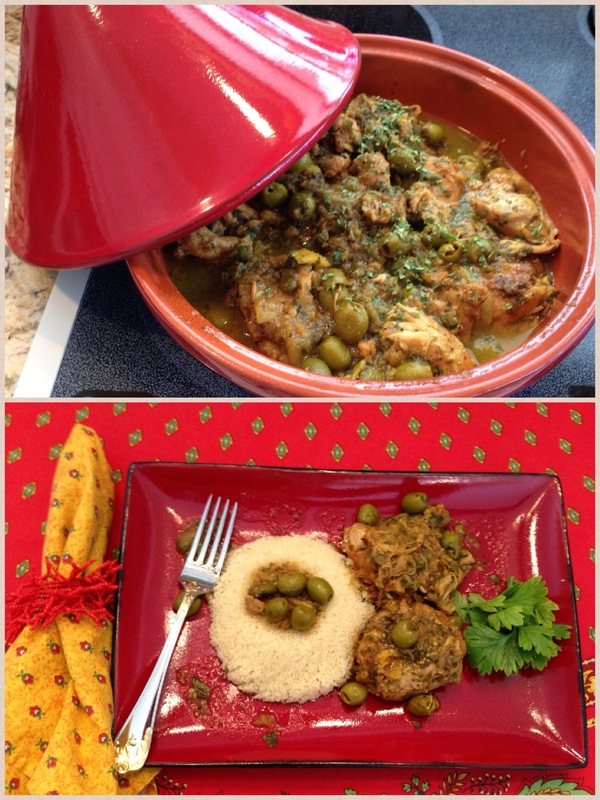 This entry was posted in ENTREES and tagged CAPERS, chicken tagine, LEMON, middle eastern cooking, olives, preserved lemon, tagine. Bookmark the permalink. Mercy, thanks so much, I appreciate your comments! Hello Mary, what diffuser do you use for your tagine? Hello Mary, What diffuser did you use? Thanks Mary, We’re looking forward to cooking this.